and the new batts and rovings are beginning to arrive. 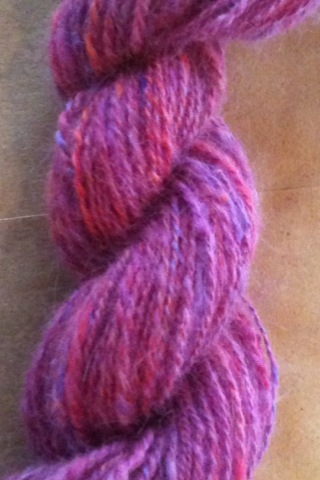 Here is a new color, “Betty Prior”, a delightful combo of reddish pinks and purples with a touch of orange tossed in. 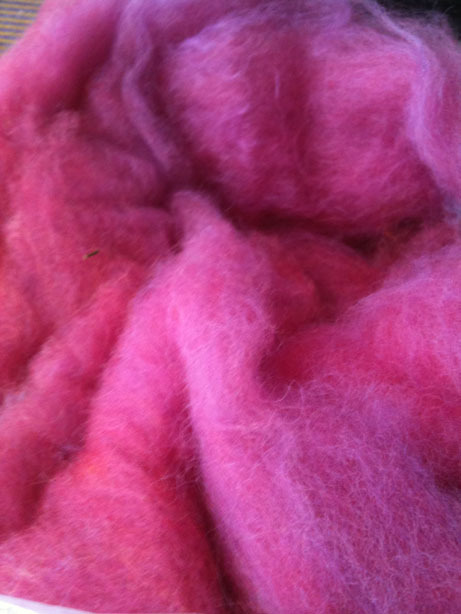 The batts are light and fluffy–easy to spin and great for felting. It’s a luxurious 50/50 blend of German Angora and Superfine Merino (80s). The fibers for these batts were hand dyed by me and processed by the incomparable Zeilingers Wool Mill in Michigan. 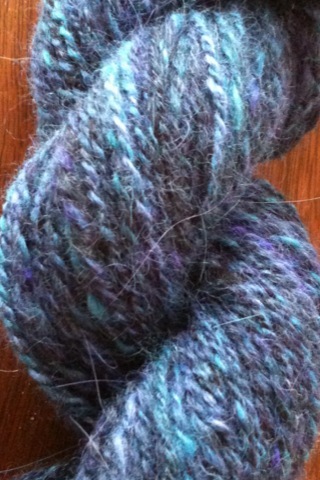 This is also a new color, “Labradorite.” It’s jet black, blues and purples Angora/Merino blend. Contact me if you would like to order any or you’ll be able to see it for yourself at my booth at CNCH 2010 Conference in Santa Clara, April 9-11. 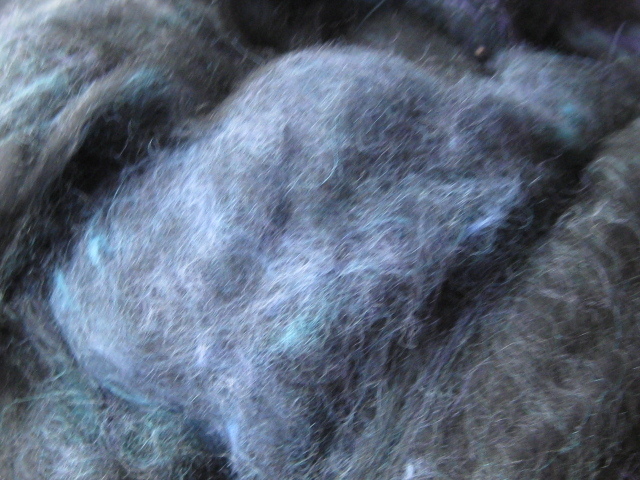 I will have spinning and felting batts, rovings, angora yarns and kits. Hope to see everyone there! This entry was posted in Home, Shop News and tagged angora, angora yarn, felting batts, hand dyed, Merino, roving, spinning batts, Zeilinger Wool Mill. Bookmark the permalink.